a place where believers love, serve, play and live authentic lives together; with a spirituality of taking risks of faith in compassion and generosity; bringing peace to our neighbours and our world; and captivated by the idea that it’s not about us, it’s all about Jesus. We think the church should be more about what it’s for than what it’s against. Whether it’s through long-term work like our Nicaragua Partnership or events like community clean-ups, we believe we grow the most when we give the most. Church isn’t just something you do on Sundays. Church is the relationships we build that support and challenge us in our spiritual journey. We want to make space for fun, thoughtful, and deep times together so that we can create significant relationships. We all look for moments where we go beyond ourselves and feel like we are part of something bigger, where we realize we’re connected to something beyond ourselves. We want to be a faith community that strives to connect with God in music, in creative expression, in reflection, in serving the needs of others, and in the everyday of life. In 1978, a small group of people started meeting together in the Forest Heights neighborhood of Kitchener. Their goal was simple: to study the Bible, to pray, to share their lives together, and learn to follow Jesus by finding ways to serve the people in their schools and businesses. Westheights Community Church was born from this small group, and today has grown into a thriving faith community. First meeting in Westheights Public School, in 1984 they bought and built the current site at 82 Westheights Drive so they could have a permanent site to worship, meet together, and be equipped to serve the community. Many of the original families still attend, as well as many new families from across the city and neighbouring townships. In 2014, the site at 82 Westheights was fully renovated and reimagined as a centre-point for our community and those seeking spiritual exploration. Today, Westheights is a growing community that seeks to help people to find and follow Jesus. 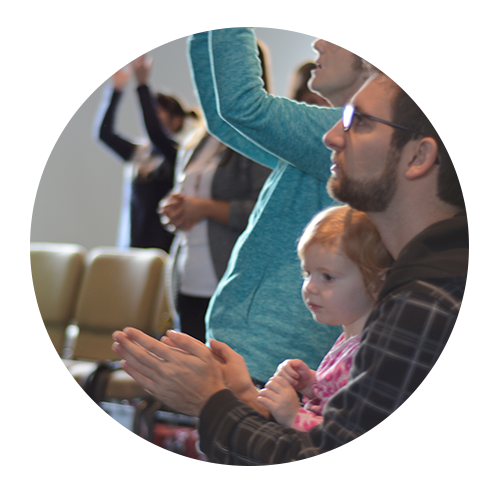 With great programs for kids and students, house churches that meet every week, and Sunday services designed with relevant teaching and inspiring music – there’s something for everyone. Come be a part of something awesome! Westheights is a member of BIC Canada, an anabaptist denomination with a rich history and compelling values. Being a part of a denotation helps us keep connected with other churches, work together on international development work, and other resources like Camp Kahquah. As an Anabaptist church, we believe in the centrality of Christ, the necessity of community, and spreading the peaceful message of Jesus throughout the world. For more information about Be In Christ Church of Canada, our Core Values, and our full Articles of Faith and Doctrine, click the image below.